New partnership announced to create UK’s largest LoRaWAN network and innovation community. Amsterdam, 18 June 2018 – Digital Catapult’s Things Connected initiative has partnered with The Things Network (TTN). This collaboration brings together two well-established initiatives in the UK, creating Britain’s largest free-to-use LoRaWAN network and innovation community. LPWAN wireless networks are designed to allow connected devices such as sensors to communicate small amounts of data over large distances using tiny amounts of power. They enable new, disruptive smart services and solutions in areas such as digital manufacturing, smart cities, health and agriculture. These remote sensors or actuators can run for many years on a single battery. Things Connected was established in 2016 by Digital Catapult at a time when the UK lacked national LPWAN coverage. Its aim has been to stimulate innovation and accelerate the adoption of low power networking technologies by IoT innovators. The Things Network has grown over the last three years in parallel with Things Connected, into a global player with an open and decentralized data network that spreads across 90 countries worldwide. Through the Things Connected programme, Digital Catapult has enabled over 700 innovators to experiment with IoT technologies, leading to new products and services being brought to market in the UK and abroad. Thousands of innovators can now access the combined network for testing and product development. LPWAN connectivity will be the driving force behind the uptake of IoT, bringing new companies and services to market. This partnership enables us to expand and accelerate UK innovation. 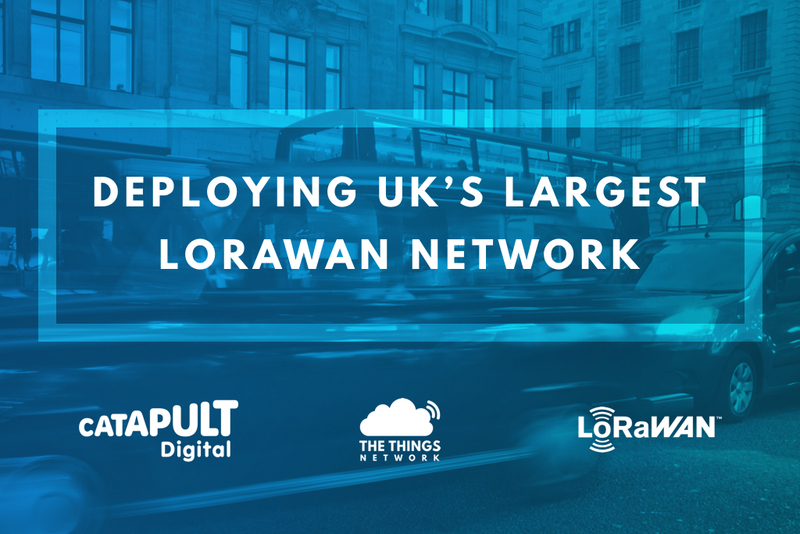 UK innovators can now deploy LoRaWAN solutions more seamlessly across the region and fuel further collaboration to benefit the UK economy. Companies too will also be able to demonstrate their services globally, with The Things Network nodes available across the six continents. 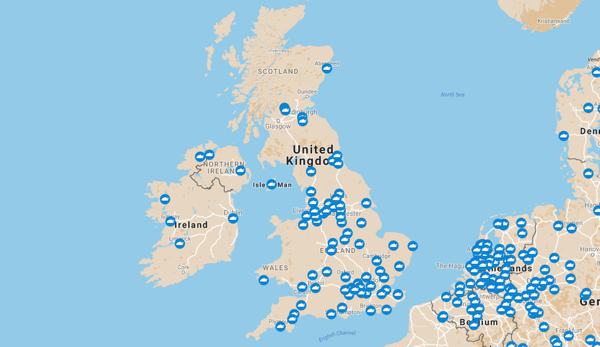 The combined network is expected to be self-sustaining and continue to grow through community-support, as both TTN in the UK and Things Connected have shown over the past two years. The Things Network is a global community of more than 40000 active members from over 97 countries around the world bringing together startups, developers, businesses along with universities and governments in building a public Internet of Things data network. It is based on the technology called LoRaWAN™ which is perfect for the Internet of Things as it is low energy, long range and low bandwidth. Because the costs are very low, people no longer have to rely on large telco corporations to build such a network. Instead, the network can be crowdsourced and made publicly available. The entire city of Amsterdam was covered within 6 weeks which led to inspire hundreds of cities around the world to do the same. Things Connected is an initiative that supports UK businesses using LPWAN technologies. It offers an open network for the experimenting with and prototyping of new IoT products and services that can benefit from the unique features of LoRaWAN.